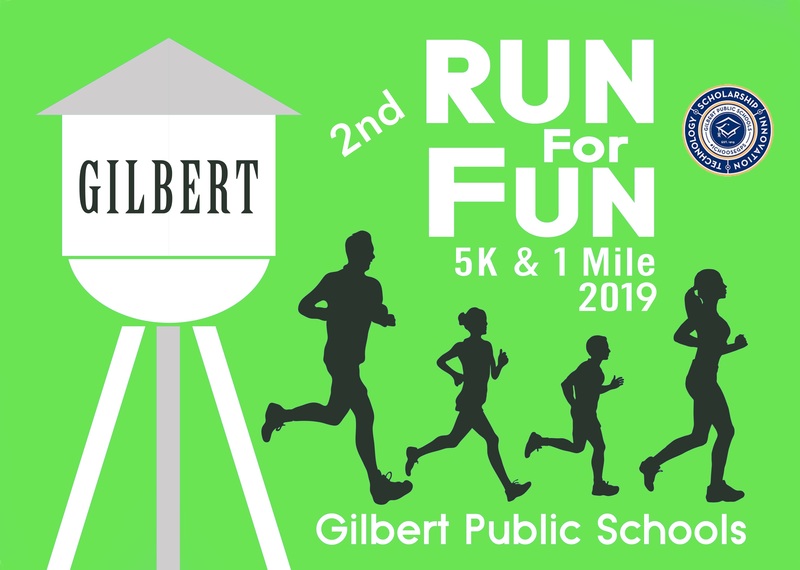 Join us for the 2nd Annual Gilbert Public Schools “Run for Fun” 5K & 1 Mile Run/Walk. We will celebrate the benefits of an active and healthy lifestyle, while having fun! Gilbert Public Schools (GPS) believe that healthy students learn better and have more chances to develop to their full potential. eating and physical activity in the Gilbert Public Schools. and school gardening in the schools. See you at the start line! Register a team of 2 by December 31st and receive $5 off your combined registration! Both participants must register at the same time to receive this discount. Discount only applies to teams of 2. This is perfect for a parent and child who want to run/walk this event together! Interested in becoming a sponsor or having a vendor booth at our event? Please click here for more information. Want to miss out on the race day lines? 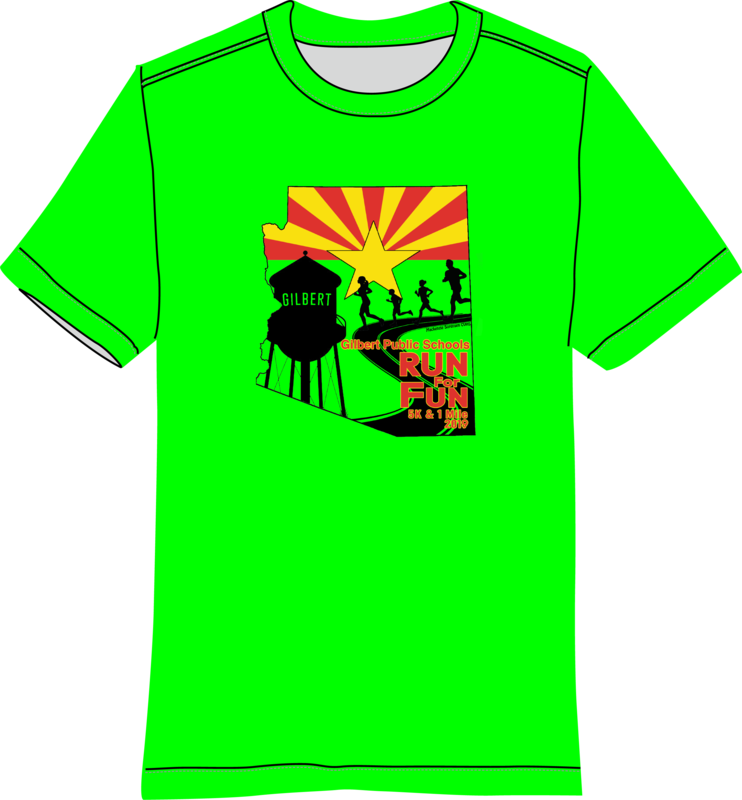 Packet pick-up will be available on Friday, March 1st from 4:00 - 7:00pm at Cadence Running Company (map). Race Day Registration and Day of Packet Pick-Up will be available beginning at 7:30am at Campo Verde High School. 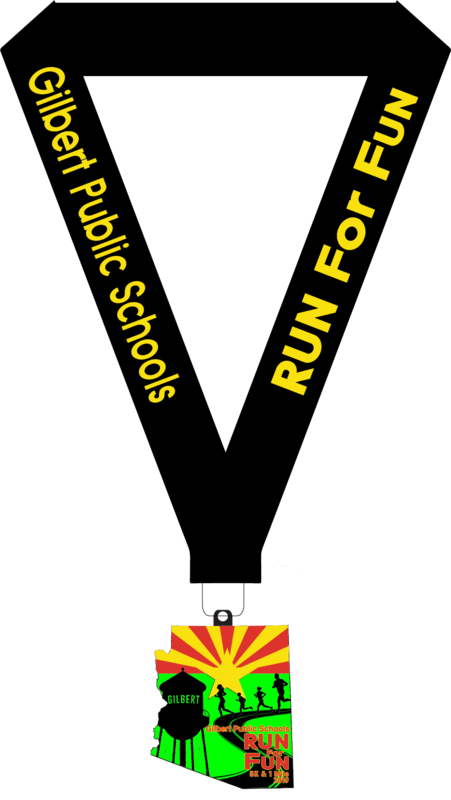 Cost of registration on race day will be $40 for non-students and $30 for students (with your student i.d. number). Please no pets on school property.